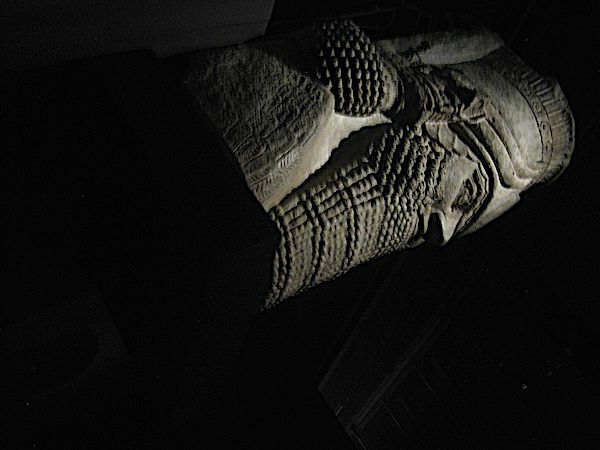 The new Ashurbanipal show at the British Museum raises all sorts of questions in one’s mind – some of them discomforting. It consists of an extensive series of low relief scenes carved in gypsum, plus some other sculptures from the palace at Nineveh of one of the most important Assyrian rulers, plus in addition a series of cuneiform documents from the palace library. Nineveh, now a ruin, is close to modern Mosul in Iraq. Ashurbanipal ruled the Neo-Assyrian Empire, then the world’s most powerful political entity, from 668 b.c. to circa 627 b.c. The reliefs have belonged to the British Museum since they were excavated and transported to London in the 19th century, but in recent times not all of them have been on view. Meanwhile, the site the came from has been heavily damaged by Islamic fundamentalists and also looted. The nearby Assyrian palace site at Nimrud is said to have been bulldozed. This, of course, raises questions about ‘rights’. Who has the right to own these treasures from the past – those who descend from their makers and occupy the same piece of territory? Or those who ensured their preservation and now guard and protect them? There are plenty of other awkward questions as well. 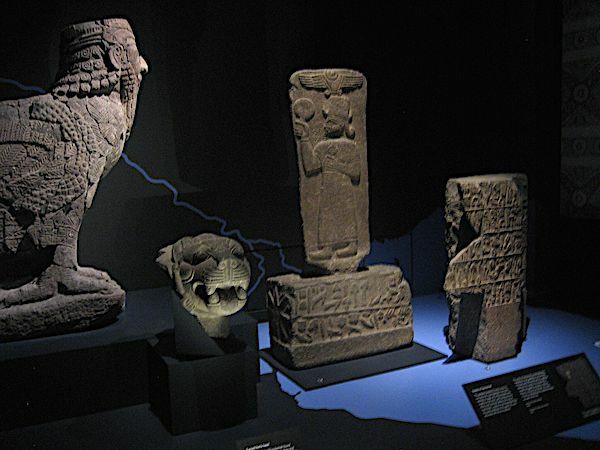 For example, there is little enough for modern societies to admire in ancient Assyria. No equivalents for the likes of Plato and Euripides sprung from a society not so very much junior to this one. The Victorians liked to equate the Assyrian monarchy with things they read about in the Old Testament, but the connections now seem somewhat tenuous. There are aspects of what is shown that have escaped comment from most – maybe even all – of my colleagues who have so far written about the show. One is that the central hero-figure is never actually shown directly in combat. He has people who do the fighting for him. The nearest he gets to it is when he hunts lions. And these lions, as the narrative of the reliefs makes clear, are beasts kept in captivity, then duly released so that the king can ritually slaughter them. One famous small fragment shows a male lion in its death throes, pierced by a spear and vomiting blood. The catalogue indicates that this was a comparatively late addition to the B.M.s holdings, originally given away as a duplicate. A modern spectator will almost certainly empathise with the poor beast’s agony. There is no indication the Assyrian monarch or his entourage would have done so. Another very different aspect, borne out by a lavish helping of cuneiform tablets, is that this was not only a literate society but that the king himself was fully literate – so much so that one is tempted to think of him not only at the CEO of the conquering army portrayed but as chief bureaucrat among a phalanx of bureaucrats. Killing lions for recreation was one thing. Being present in the front line was entirely another. Maybe it’s my own over-active imagination at work, but aren’t there echoes here of the 21st-century regime of Donald the Trump, president of the now mightiest nation on earth? There are other things about the exhibition that resonate in a disquieting way. Chief among these is the fact that nobody knows quite how Ashurbanipal ended up. He fades abruptly away. There where a couple of ephemeral successors, then the Assyrian empire was suddenly at an end. Ashurbanipal’s tomb is unknown. If it ever existed, it was destroyed (so it seems) very soon after his death. 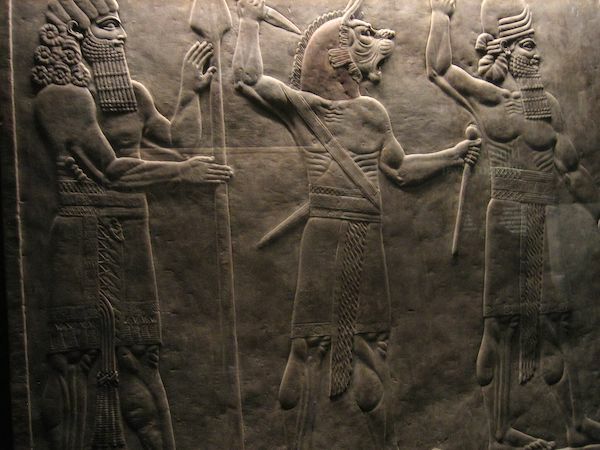 And yet… What needs to be said is that these Assyrian reliefs, telling stories which we perhaps don’t want to hear, are wonderful works of art. Disagreeing with what they say is no excuse for refusing to go and look at them. The wounded lion will move you, even if – paradoxically – the people who made his image pretty certainly intended no such thing.